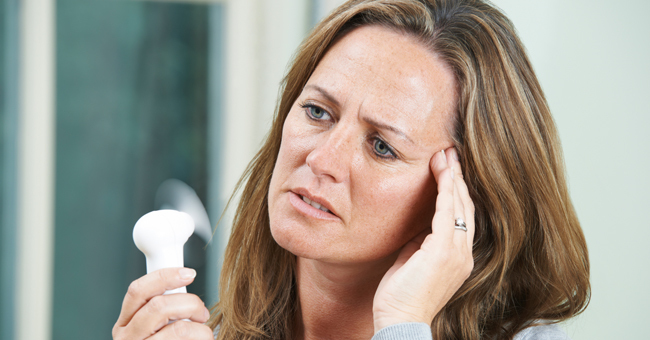 There is no uniform female response to the onset of menopause – perimenopause. The psychological passage from fertility to infertility produces a variety of psychological responses in different women and this mental/emotional response is almost more demanding of treatment than the physical symptoms. Some women respond to it negatively as a sign of aging. Other women are caught off guard and surprised. They begin to experience pre-menopausal events as separate symptoms, i.e., irregularity in their menstrual cycle, weight gain, disturbed sleep patterns, the inability to control their tempers, and the infamous hot flashes – without putting it all together. Once again, hormonal changes will affect a woman’s neurochemistry, which can often trigger negative emotions besides the physical symptoms that normally appear. And, as inopportune as perimenopause is to women, it’s an opportune time for me as the doctor to assist women who experience a psychological downturn by working with them to balance their hormones AND neurotransmitters. My goal is to not only make them feel happier through this inevitable season of life, but to diminish the negative effects of chemical changes in their nervous systems. Besides hormone replacement therapy, I can also address other underlying medical problems such as hypertension, diabetes, high cholesterol and so on. Psychotropic agents can also help reduce hot flashes and other menopausal symptoms, as well as help improve physical and emotional ailments. Some women report that their thinking is more clear and their outlook on the future has brightened. Other women who had begun to perceive themselves as less attractive or had been aware of a significant drop in libido, begin to feel “alive” again. Of course, to optimize these improvements requires behavioral and diet changes, too, along with regular exercise. But even then, our patients are more likely to make these lifestyle decisions and stick to them when they’re feeling more positive and energetic. Life transitions marked my hormonal change can be frustrating times that, in many instances, trigger negative consequences. These are exactly the times when the intervention of the family physician can offer real hope for a better life experience. With proper counseling and a rational sue of available medications, women need not suffer and struggle through this change on their own. If you or someone you love is experiencing this “season of life” change, please call my office for an appointment at (949) 481-0118, or complete my patient application here.